Ruth Nervig MLA I ’17 has been named by the Landscape Architecture Foundation (LAF) as a finalist for the 2017 Olmsted Scholars Program, the premier national award and recognition program for landscape architecture students. She is the second finalist from City College in just three years, following Andrea Johnson in 2015. 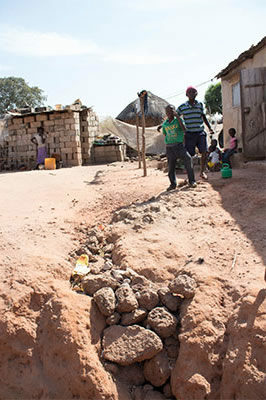 Nervig’s site is in southern Senegal, West Africa, where urban infrastructure projects are often shaped by Western building practices, paving over cultural traditions that connect human habitation patterns with environmental systems. Her work uses landscape architecture to address the dynamism of spatially and temporally fluctuating processes. Over the January academic break, Nervig walked an east-west transect through a quickly urbanizing small city, mapping seasonal and spatial variations in water access and hydraulic infrastructure. Her MLA thesis project explores the translation of cultural practices and the local language of landscape to design a soft infrastructure network that preserves the connection to the hydrologic cycle in that city. Nervig became interested in Landscape Architecture as a Peace Corps Volunteer extending sustainable agriculture techniques in rural Senegal, but her previous academic and professional experiences in ethnography, youth work, and community organizing equally shape her sensibilities in the field. While researching the nuclear and fossil fuel industries and in her professional work with the Gowanus Canal Conservancy, she identifies connections across spatial and temporal scales, incorporating narratives in her analyses and fostering community stewardship. 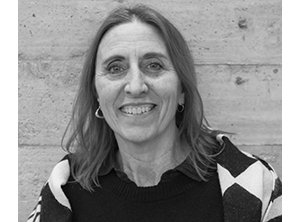 She hopes to continue to work across disciplines to incorporate constituent participation and innovative design to bolster the cultural and ecological capacities of both people and place. In addition to the prestigious Olmsted Scholar Finalist designation and associated recognition, Nervig will receive a monetary award and complimentary tickets to the LAF Annual Benefit and an Olmsted Scholar Luncheon in Los Angeles in the fall. Now in its tenth year, the Olmsted Scholars Program recognizes and supports students with exceptional leadership potential who are using ideas, influence, communication, service, and leadership to advance sustainable planning and design and foster human and societal benefits. An independent jury of leaders in the landscape architecture profession selected the winners and finalists from a group of 50 graduate and 31 undergraduate students from 62 universities across the U.S. and Canada who were nominated by their faculty for being exceptional student leaders.